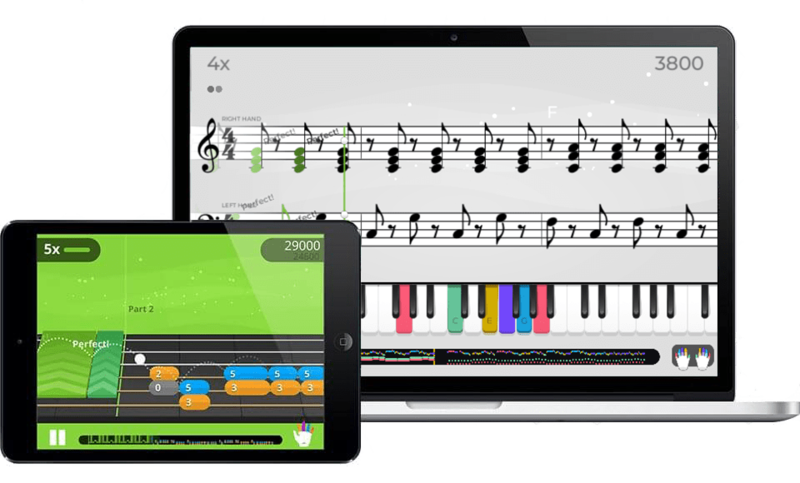 Get real-time feedback and instructions as you make your way through thousands of songs, exercises, and teacher-crafted lessons! Tailored to your needs and updated regularly, there’s always something new for you. There's always something new for you. Guitar, Bass, Piano or Uke: it doesn’t matter if you prefer acoustic or electric! Regardless of your phone, laptop, or tablet, we’ve got you covered! Yousician works on nearly every device.